Well, I'm a tad late with this update, but I'm way behind on updates in general. 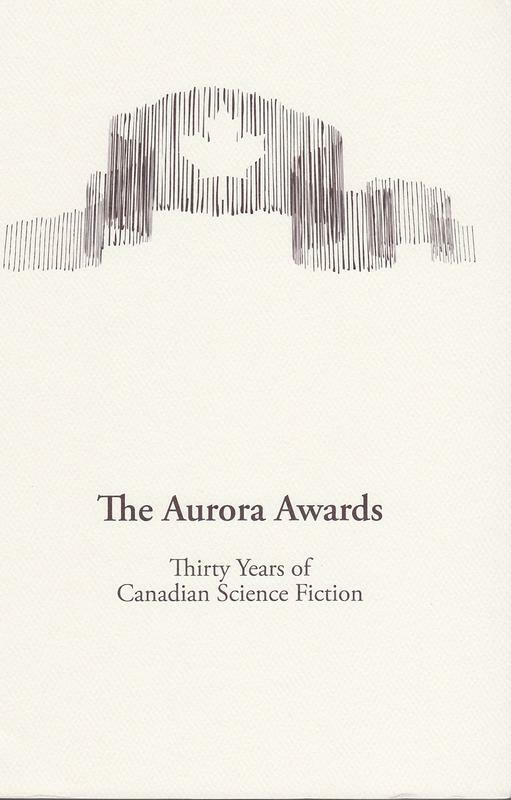 I'd blogged earlier about having my first story, "Spirit Dance," picked for this excellent anthology that celebrates the depth and range of Aurora Award winning short stories over the three decades since the award was first presented in Halifax in 1980. The anthology includes work by James Alan Gardner, Isaac Szpindel, Eileen Kernaghan, Daniel Sernine, Robert J. Sawyer, Julie Czerneda, Élisabeth Vonarburg, Candas Jane Dorsey, Yves Meynard, David Nickle, Karl Schroeder, Edo Van Belkom, Hayden Trenholm, Laurent McAllister, and of course, myself, with an introduction by Jean-Louis Trudel. "...a haunting variant on the vampire legend with an understated and brutal ending." —Booklist, the review journal of the American Library Assoc. "I was reminded of the tone of some of Harlan Ellison’s best work..."
Check out here for the complete story behind the movie, including a trailer, photos from the shoot, and some very cool sketches used in the film. Here's your last chance to enter the free giveaway contest for Chimerascope on Goodreads, the social networking site for book lovers. Here's the link to enter the contest. You have to be a Goodreads member, but that costs nothing, and if you love books, you'll enjoy this site. The giveaway contest ends shortly after midnight on April 9, so enter now for a chance to win one of two free copies. I'll be appearing at Ad Astra, the excellent annual Toronto SF&F con in April. Ad Astra always features a strong literary program as well as the expected media focus. Location: Crowne Plaza Toronto Don Valley Hotel, 1250 Eglinton Avenue East. "Douglas Smith's debut collection Impossibilia, which I reviewed last year and which has the lead story "Bouquet of Flowers in a Vase, by Van Gogh" (one of those rare "become a fan for life" pieces), made reading Chimerascope a must as soon as I have found out about it. Adding that it has been published by Chi-Zine publications from whom I have read only quality works so far, and Chimerascope came with the highest expectations for me, and it matched them and more, with several mind-blowing stories in an ensemble of all-high-level ones. ... The stories range from far-flung sf and time-travel, to fantasy-like landscapes and even towards straight horror, so Chimerascope, as befits its name, is a changeable entity, one that cannot be easily confined into a narrow pattern and will appeal to fans to all kinds of speculative fiction. ... In conclusion. 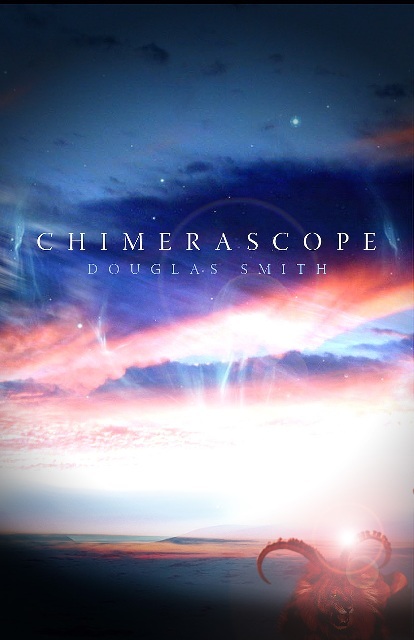 I would say that Chimerascope (A+ overall) confirms for me what Impossibilia affirmed, namely that Douglas Smith is an extraordinary author whom every lover of quality speculative fiction should read." The review includes story-by-story reviews as well. You can read the entire review here. "...Chimerascope is a massively enjoyable trek through the far-fetched, the horrifying, and the flat-out weird, all filtered through Smith's remarkable imagination and prodigious talent. ... Although Smith's tales may centre on the fantastic, what is immediately notable is his steady grasp of character, which lends humanity to even the most absurd situations. The stories in this collection traverse genres and styles -- from outright horror to witty surrealism to martial-arts mythology -- without missing a beat. 'The Dancer at the Red Door,' with its mix of oblique horror, urban fantasy, and monsters equipped with pincers extending 'from each side of a slit-like mouth,' recalls Clive Barker at his most disturbingly fanciful. 'State of Disorder' layers a time-travel scenario over a polite dinner between colleagues, with unsettling results. The closing story, the post-apocalyptic narrative 'Memories of the Dead Man,' contains echoes of Stephen King.